The findings of the study were first published online in the journal Oncogene on 3 August 2015. Previous studies have implicated the roles of both EDD1 and TIP60 in cancer progression, however their roles in viral-mediated cancers have not been well-explored. Notably, this study is one the few which explores the functional role of TIP60 in viral-mediated cancers. It is also the first to suggest EDD1 as a novel interacting partner of TIP60, a finding which advances the understanding of how this pathway could contribute to cancer progression not only in cervical cancer, but also in many other cancer types such as breast and ovarian cancer. 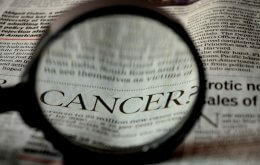 Oncoviruses (cancer-causing viruses) are said to account for about 12% of new cancer cases annually. Cervical cancer, which is the cancer of the cervix, accounts for about 8% of all cancer cases worldwide and is the fourth most common cause of cancer and deaths from cancer in women. Infections with cancer-causing viruses such as HPV are a major health burden worldwide, and contribute significantly to patient mortality. Availability of prophylactic vaccines hold promises in the prevention of the disease, but unfortunately does not help already-infected patients. The study was supported by the Singapore National Research Foundation, Ministry of Education and the National Medical Research Council.